This is part three of my sustainable fashion series. If you haven’t read the previous two posts in this series, the first one was an easy guide to sustainable fashion which you can read here and in the second one, I shared a few easy tips you can use to care for your clothes and make them last longer. You can read that here. 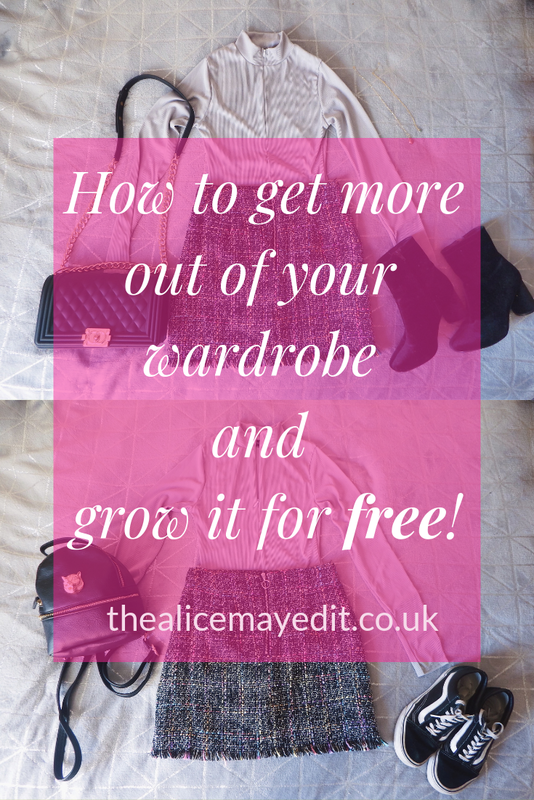 In this weeks post, I wanted to share some ways you can get more from your wardrobe and even grow it without spending any money on new clothes! My first tip is to get all your clothes out of your wardrobe and look at all of your pieces. This will help you see clearly what you're working with. I also find this useful when it comes to the clothes in my draws since when they’re all just sat in the drawer it can be difficult to see what you’ve actually got. 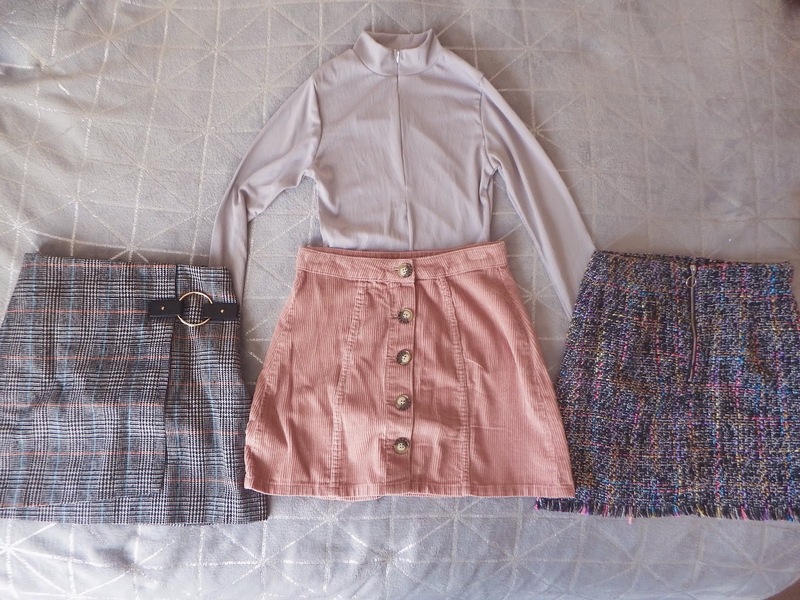 Next choose a piece of clothing, for example, a top that you really like and go through all your bottoms including skirts and see which pieces work well together. This is a great way to find new combinations. Don’t forget to try them with different accessories too! Then have a mini fashion show and try all the outfits on. Don't forget to take a picture of each look and save them in a folder on your phone! Whilst you have everything out of your wardrobe now would be a great time to take a picture of each of your pieces to upload into an app like Snupps or Stylebook. 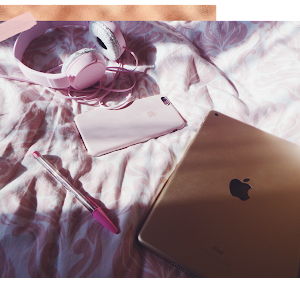 These are both great apps to organise your wardrobe with. I've recently just started using Stylebook and I love it! On the Stylebook app, you can also create outfit mood boards which are great when it comes to outfit planning and for when you want to experiment with combinations without having to actually go in your wardrobe, plus you get to feel like Cher in the opening scene of Clueless! The way you style something can completely change how it looks and I’m not just talking about what you pair it with. There are so many styling hacks you can use to make a piece of clothing look different every time you wear it. For example, a button up blouse can also be worn off the shoulders has a Bardot top or you tie it up and wear it as a crop. Get creative with it and try to think outside the box. You can also go on youtube and search 'styling hacks' for some inspiration. The accessories you choose can also really change an outfit. I used accessories to change the vibe of the outfit I styled for this post. Heeled ankle boots and a crossbody bag dress it up more whereas Vans and a backpack give it more of a casual vibe. Using the ‘first in, last out’ system is a really great hack I found. Apparently, most people tend to wear only 20% of their wardrobe 80% of the time which is something I can definitely relate too. Although I think for me it’s probably more like 10% of my wardrobe 90% of the time, haha. Anyone else feel like that? A first in, last out system basically means that once you’ve worn a piece it goes into one end of your wardrobe and the next time you’re picking an outfit you choose pieces from the opposite end. It’s almost like a conveyor belt or a queue and means that you work your way through wearing all the pieces in your wardrobe instead of just a small selection. Another great way to make the most of the clothes you’ve already got is to rework them! A good example of reworking a piece is taking a pair of jeans that look a bit worse for wear and cutting them into shorts. Although there are so many other ways pieces can be reworked. There's an Instagram boutique called Sik Gal who have loads of reworked designer pieces which you can get inspiration from. I hope you’ve enjoyed my tips on making the most of your wardrobe and I hope that the next time you’re picking your outfit you feel a bit more inspired rather than feeling like you have nothing to wear! 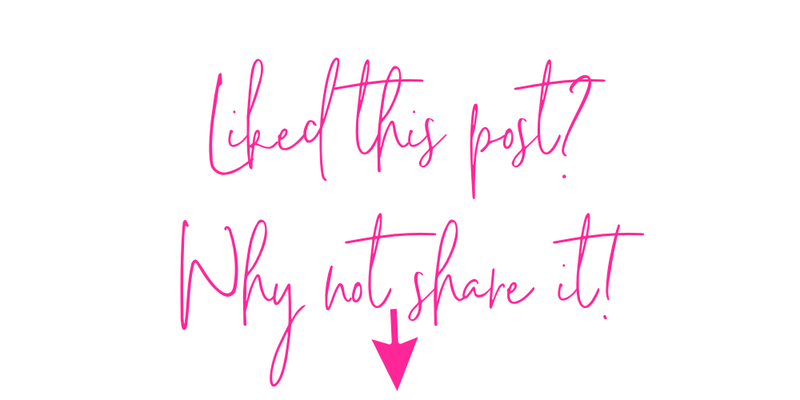 Let me know in the comments how much of your wardrobe you think you actually wear because I’m interested to know and also if you have any tips for getting more out of your wardrobe you can leave those in the comments too, I’d love to hear them!